This entry was posted in Cee's Fun Photo Challenge, History and tagged Cee’s Fun Foto Challenge, CFFC, Fife, Glenrothes, landscape photography, Leslie, Leslie House, Scotland, Scottish history. Bookmark the permalink. Such a shame! Are they going to demolish it, or can anything be rescued? It is a terrible shame Anabel. The fire was in 2009, a company had bought it and were converting it into luxury old peoples apartments. I think it’s beyond repair now, it’s literally just a shell. We heard only a few days ago, that the police want it boarded up, but they can’t locate who now owns it, so it just remains this derelict shell. Funny how these things seem to happen so often…. I’ve since dug a little deeper into it Anabel, and it turns out that they know who owns it now, but this company wants to build new houses on the land, but the council are refusing permission, unless the original house is restored. I personally think the fire was arson, but that’s as I say, just my personal feeling on it. Yes, I was rather hinting that myself – have seen such things before. What a pity that gorgeous place was destroyed! I wonder what happened there? I’d never heard of this, Andy – when was it damaged by fire? I am guessing it must have been only recently. Sorry for the delay in answering your question Jo. Oh no! What a dilemma, for such a wonderful old house. Thanks for the background info, Andy! Very interested to learn about this place. It’s so sad what happened to Leslie House. I know my parents had high hopes for the place having life breathed into it again before the fire all but destroyed it. Sad. It is very sad Laura. It was clearly an amazing place – I thought at the time it was a shame it was being converted into luxury modern apartments, but the fire was even worse!!! The comment I left on Jo’s comment explains what I think about the whole sorry mess! Yes, my family also suspect it was an insurance fraud that motivated the fire. Such ugly, destructive behaviour. I’m sure nobody will be made to reckon for it either. How absolutely dreadful, and it sounds like it there had been fires before? It is awful Gilly!! There was another fire in 1763, which destroyed the other three wings of this grand old house (it used to have four wings and a central courtyard!). I love seeing these old houses restored to their former glory (even though I disagree to some extent as to what they represented), they are part of our historical heritage! Thank you Lynne 🙂 I hope like you, that whatever happens, they keep the amazing entrance, to this sad shell of a building! Wow that looks so beautiful! The gates are amazing! Love these pictures! Thanks Lynz 🙂 The gates are amazing! yes they look amazing! Very old and fancy! Very sad. 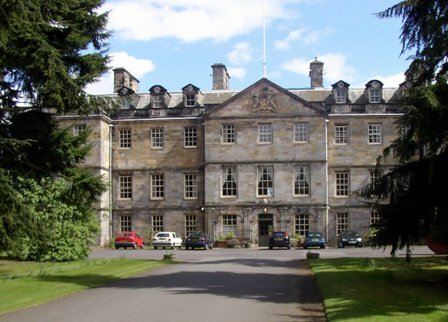 I’d like to say it’s my ancestral home (being a Leslie and all), but so far I haven’t found any aristocrats hiding away amongst my more humble Leslie ancestors. No; I don’t think I have any illusions about illustrious ancestors. I’ve discovered that I’m descended from an extremely long line of agricultural labourers, carters and publicans — with a few likely lads and a couple of scary matriarchs thrown in for good measure. 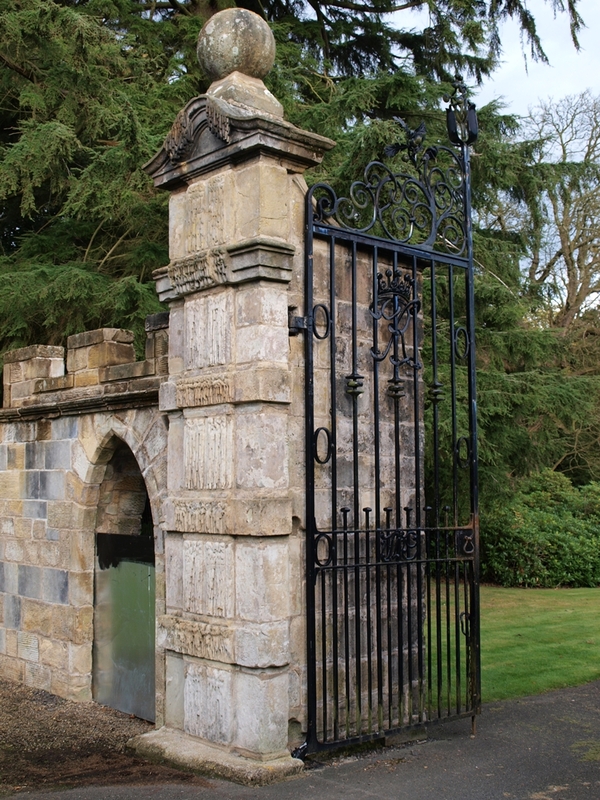 Such a grand and wonderful entrance leading to what was once a beautiful house. Heartbreaking that it has fallen into disrepair. It is heartbreaking Joy, it is terrible to see it a just an empty shell now. Thanks Millie 🙂 It is tragic that the house has been virtually destroyed, I suspect it was done on purpose, even though I don’t think anything has been proved to say as such. 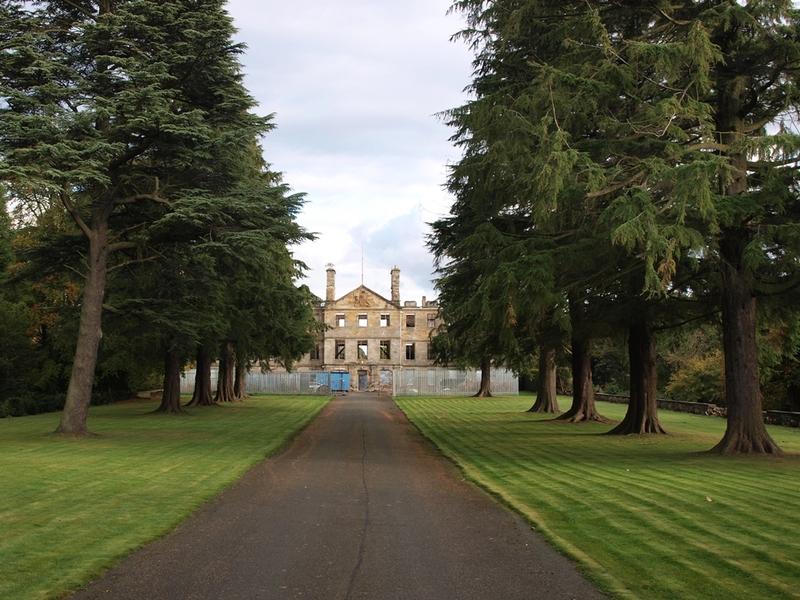 I do know that the company that bought the house from the then owners, the Church of Scotland (they were gifted the house by the Rothes family in 1956, to use as an old folks home), were given permission to build other houses on the land, on the condition that they renovated Leslie House to its former glory. Arson crossed my mind, and with ‘big business’ involved, who knows? It’s a great tragedy when wonderful buildings of our past are destroyed, however it happens. Thank you for explaining that, Andy. ‘Forner glory’! Hahaha! But I’m glad you now know how to do that. I had to rely on my blogger daughter to restore the first one I trashed! Louise comes in so handy at times. If not for her, I’d have thrown in the towel months ago. That was a fine looking building, what a pity it was ruined. Lovely gateway. 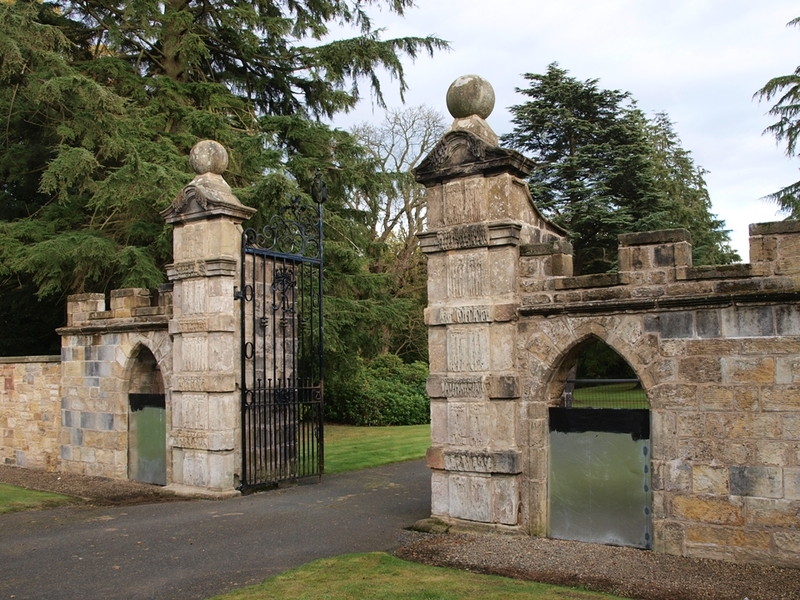 It was a very grand building in it’s heyday Lorna, it was meant to rival Holyrood Palace, both in its size and grandeur – so it is terrible to see just a desolate shell now 😦 The gates are just the inner ones, it has another set of gates (plus gatehouse) at the entrance to the main road.